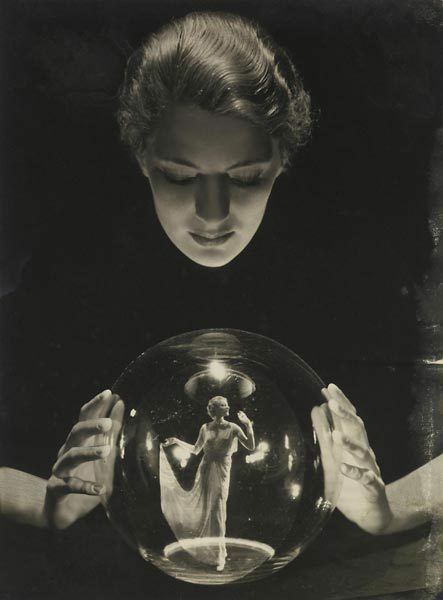 I’ve got a quick question for you: how good is your ability to predict the future? If your skill in this area is anything like mine, you find yourself being constantly surprised by things that you simply didn’t see coming. As the person with the CIO job, you really can’t allow this to happen to you. Because of the importance of information technology, the consequences of something happening that you are not prepared for are just too great. What this means is that knowing what will happen in the future just got a whole lot more important for you. Now how are you going to find out what you need to know? Just Exactly What Does A Futurist Do? Being in the CIO position, one of the many jobs that you have is to always be prepared for what might happen next. This is where a futurist can help you out. Futurists can generally be found at larger companies who find themselves having to make decisions that might not turn into either policy or products until sometime in the future. What a futurist actually does is fairly simple. A futurist is responsible for helping a group of people work through a process. This process is highly structured and can potentially last for several months. The goal of the process is to try to come up with as many hypothetical views of the future as the team can. The goal of doing this is to help the company try to prepare for just about anything that could happen. Many larger firms employ people whose sole job is to be a futurist. There are dozens of universities who offer a discipline in futurism. As we live in a dynamic world with lots of things changing all around us, the need to have futurists helping CIOs to take a look into all of the possible futures that we may encounter appears to be more important than ever. How Can A CIO Become A Futurist? When a CIO wants to practice the art of being a futurist, they need to skip starting with technology. Instead, the right place to start is with all of the other factors that are going to be driving technology. These can include things that are as diverse as wealth distribution, demography, politics, and education. In order to be a successful futurist, a CIO has to take a step back once you’ve created your assumptions about what the future might hold and then proceed to tear apart your ideas. What makes the art of being a futurist appealing to CIOs is how it’s done. Good futurists try very hard to make the work that they do very quantifiable. Futurists can turn to computers in order to determine what differences in the future might make to the decisions that they are making today. What CIOs need to keep in mind is what futurists don’t do. They don’t try to predict the future. The reason that futurists don’t try to predict the future is simple. The future is built on a number of different things happening. If even one of those things does or does not happen, then the entire future could be changed. There is no good way to go about predicting the next war, crises, or technological break-through. What a futurist can help a CIO and a company do is to develop a form of mental flexibility. They can help us to spend the time to think through trends that are happening today that we might have missed. As CIO, the company is counting on you to be ready for just about anything that might happen. What this means for you is that you need to develop the ability to see into the future. Now, none of us really have the ability to do this with any accuracy so we need to find a way that will help us to do this as best we can. It turns out that there are people who are called futurists who just might be able to provide us with the insights that we’re looking for. What a futurist does is to help lead a group of people through a structured process that can be quite lengthy. The goal of this process is to attempt to create as many hypothetical views of the future as possible. The thinking is that if you can see the possible futures now, then you can start to take steps to prepare for the future, no matter which version eventually shows up. Futurists start their process by taking a look at all of the factors that can influence the future. They often use computers to determine how today’s actions can affect future events. Futurists attempt to determine what the future may hold, but they don’t try to predict the future. The responsibility for always being ready for anything that might happen is a big burden for a CIO to have to carry. Thankfully there are futurists who can help us to peer into the future and see the various things that might happen. With this knowledge about the future, we can go ahead and make better decisions today. Question For You: How often do you think that a CIO should work with a futurist in order to try to determine what’s ahead in the future? As the person with the CIO job, you are the one who is responsible for managing all of the data that the company collects. We are all pretty used to what this means. We set up databases, we create backup programs, and we create processes for acquiring, cleaning, storing, and eventually discarding data because we understand the importance of information technology. However, things are changing. With the arrival of electronic products like Fitbits and Apple watches, your employees now have the ability to collect and report a great deal of data on their daily activities. How should a CIO deal with these new very personal data streams?